It was just a few years ago that trade wars seemed to be a subject confined to the history books. The devastating impact of trade wars in the 1930s demonstrated that actions taken to restrict trade could hurt economic growth. Often, a trade war begins when one country imposes tariffs or other trade barriers on goods from another country. The second country, perhaps angry or fearful of adverse economic impacts, retaliates by imposing its own tariffs or barriers on goods from the first country. At times, this prompts the first country to impose new tariffs or to increase existing tariffs. A series of retaliatory steps summarizes the trade war. “You can cooperate with the other country, allowing the free flow of its goods into your country. Or you can defect, imposing tariffs on the foreign goods. And because you will trade with the same country over and over again, you have to decide whether to stick with a single strategy no matter what or whether to change course in response to your opponent. The other country faces the same choice, but you can’t know in advance what plan they’ve chosen. Free trade helps both countries, generating big windfalls for both sides. This can be summarized with the payoff descriptions shown in the figure below. Now, interestingly, each decision assumes that countries control the means of the payments. This dynamic has defined the structure of international trade for centuries. Now, suddenly, bitcoin and other cryptocurrencies are threatening to destroy the capability of governments to completely set the rules for international trade. In theory, cryptocurrencies prevent governments from manipulating their own currencies, as the cryptocurrency makes a new way to evade ­official controls and move money throughout borders. In short, blockchains have the potential to revolutionize transactions, understanding their limitations is crucial for policymakers and users. Any individual or company that uses a blockchain technology must understand how ultimate control of the nodes is distributed—who will decide the ledger’s accuracy. In many regards, the innovators of the technology intended for decentralization and democratization of transactions, thus revolutionizing the way payments are made, assets are exchanged and contracts are recorded. As an example, we can look at Venezuela. Petro is the first cryptocurrency which is purportedly backed by natural resources. According to Venezuelan President Nicholas Maduro, the sale of his pet cryptocurrency has raked in over five billion dollars during its pre-sale period. The cryptocurrency has also reportedly received 186,000 certified purchases. If true, Petro could potentially be viewed as a successful circumvention of aggressive international sanctions. In all, 83,000 purchasers in 127 countries participated in the offering. 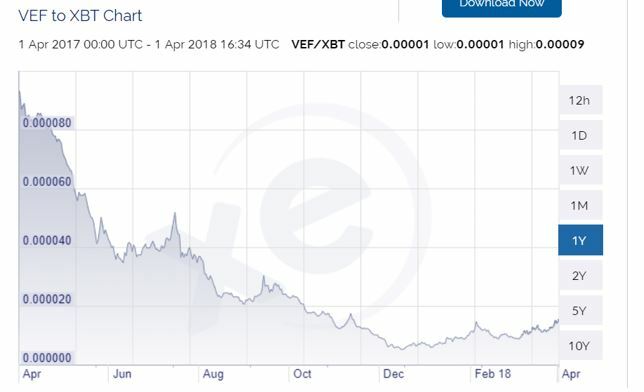 The fact, however, that Venezuelan currency can be exchanged into bitcoin already shows that sanctions could, in theory be avoided. This presents a pathway for the unscrupulous to interact with the government, or with other unsavory international characters. The introduction of cryptocurrencies has potentially altered the world order. It creates opportunities to conduct businesses that lie outside the legal system. But, none of this detracts from the more legitimate uses of cryptos. Cryptos have always enabled activities that are beyond the bounds of the law. This, of course, has also been true for currencies issued by governments. Drug deals, for example, have always been possible with cash and large amounts of cash are a potential indicator of criminal activity. 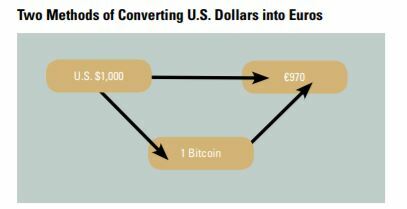 The bank noted there were two means of converting currencies now that the cryptocurrency market has developed liquidity. This simple diagram demonstrates that the possibility of skirting regulations exists and that creates a potential floor of demand for cryptos. This is important for the market because it indicates cryptos do possess at least some degree of ​intrinsic value. In other words, it is unlikely that widely used cryptos will fall to zero. This provides at least some assurance to investors that the losses are limited. Bitcoin is the leading candidate for widespread acceptance among both legitimate and illegitimate users of cryptos. But, smaller currencies could fill niche opportunities. This is important for traders to recognize. Sharp moves in a small currency could be an indication that the crypto is filling a specific need in the marketplace. And, it is important to remember that market needs ultimately dictate value. As a trader, it could be profitable to research small cryptocurrencies, exploring how the crypto is intended to be used and how it is being used. This could identify cryptocurrencies that possess at least some fundamental value and ultimately they could be the largest gainers in percentage terms.